The best part of the day is early morning and here I am sitting on the beach watching my son dive under the waves and come up for air body surfing the waves, with a grin from ear to ear. Up at dawn we planned to drive down to Burleigh Heads, agreeing to meet friends first at 6.00 am, but after much thought we agreed to the more awake time of 7.00 am, especially for my teenage son who has lately decided he loves to sleep in. 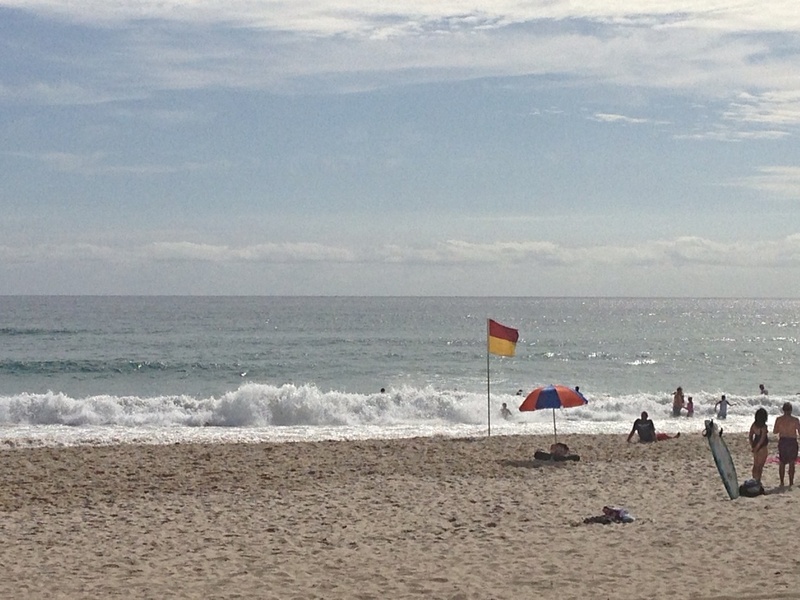 At 7.00 am, Burleigh Beach is already a hive of activity with the keen surfing enthusiasts having being out catching waves since dawn. The joggers and walkers continue to pass by as they pound the pavement, some stopping off for coffee or breakfast. We arrive after snagging a park, with body boards, beach umbrella and chairs in tow, not forgetting plenty of drinks, food and sunblock. 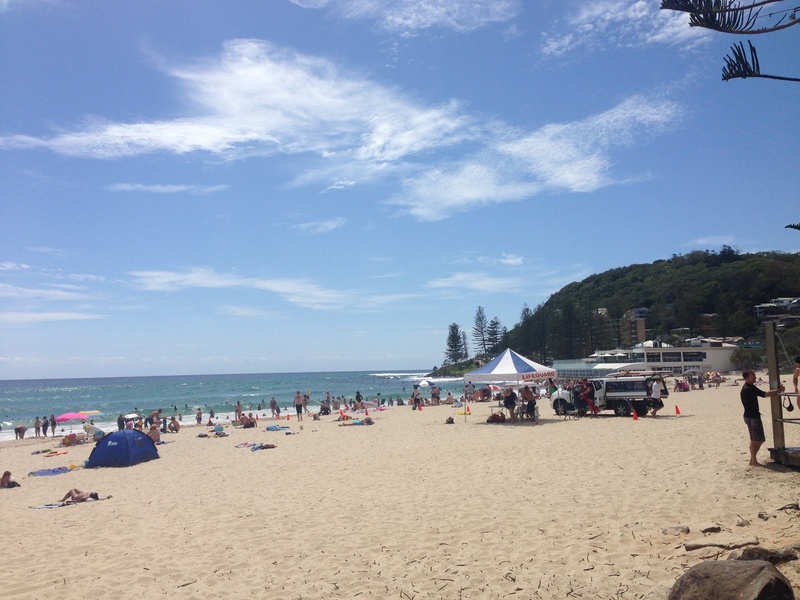 We found a spot under the trees out the front of the Surf Club. 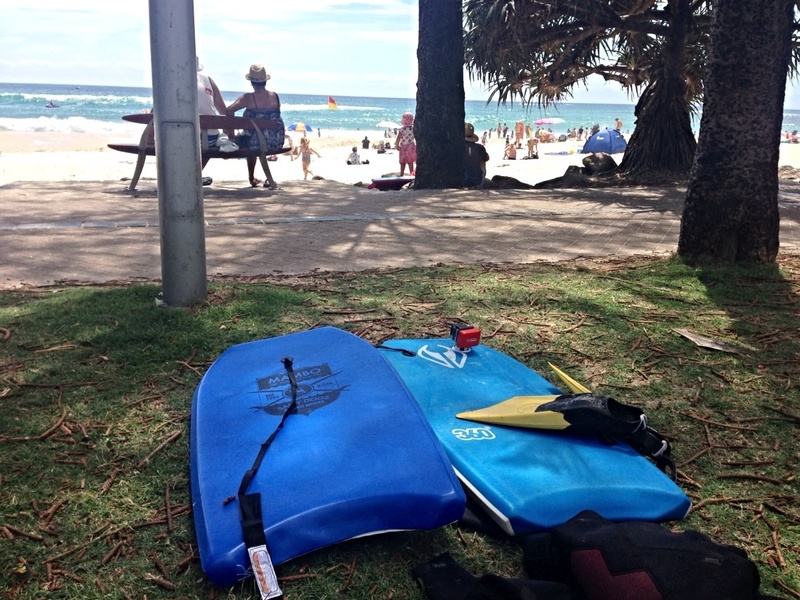 There is plenty of shade and just close enough to keep a watchful eye over our budding surfers. 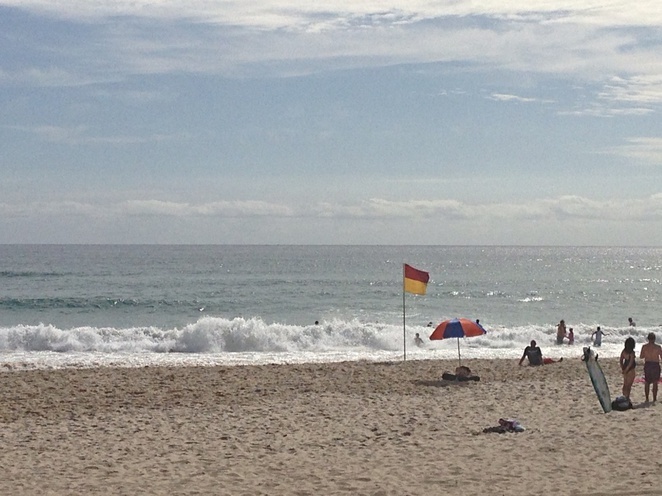 The surf patrol are out early patrolling the waves and as with any beach, the waves and current can be stronger than they look, so it it a good idea to swim between the flags. The see breeze was an added bonus, the water refreshing and inviting with everyone enjoying the sea from toddlers splashing around to the mature minded cooling off bobbing between the waves. We are incredibly lucky to have so many great beaches here and Butleigh Beach is one of them. The surf was invigorating and sure to blow out any cobwebs lurking around. my son said he loved getting smashed, "it was awesome" which is great to hear. One friend attached his Gopro to his bodyboard and videoed his manoeuvres and you know what, - the best thing, it didn't cost a cent and a few hours later we were home.